We Specialize in Exterior home Renovations, Including hardie plank siding, gaf roofing, replacement windows, composite decking, and more! 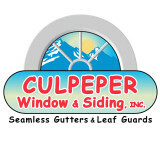 Culpeper Window & Siding, Inc. has been serving Central and Northern Virginia proudly for more than 25 years with the installation of quality replacement windows and vinyl siding. We are authorized window replacement dealers for Alside vinyl window systems. These windows are EnergyStar approved, very energy efficient, and manufactured to the customer's specifications. Our Alside Vinyl Siding is an excellent choice for replacing the material you have now. It is maintenance free, energy efficient, durable, and weather-resistant. All of our installations come guaranteed with professional quality and painstaking attention to detail. Let us handle your next replacement window or vinyl siding installation project and add your name to our list of satisfied customers! 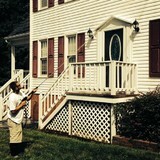 Pressure Perfect LLC offers power washing, pressure washing and sealing of exterior surfaces. We provide a two step power washing process with a non-damaging, environmentally safe, low pressure cleaning system. Exterior Home Solutions. Can give your home the update you are looking for. We pride ourselves on our quality craftsmanship, as well as our ability to provide you with the best products on the market. We are dedicated to making sure all of our customers are completely satisfied with our services. Over 10 years of experience! Exterior Home Solutions was founded on the principles of quality and integrity in our work. We believe in hiring quality people, using quality products, and doing quality work. We have a passion for construction and working with our hands. Our core team has been together for over 8 years, and has over 40 years of combined experience in exterior home improvement. You will find us knowledgeable, professional and friendly. Our relationships with our clients are very important. We are responsible for understanding and interpreting your vision and goals for your home. We feel a sense of accomplishment and your same level of emotion when you are happy with the results of our collaboration. At Elite Window Solutions, we specialize in custom-built, energy saving vinyl windows and premium vinyl siding. We offer a vast selection of product to allow you to match your individual style with your budgetary needs. Our team at Elite Window Solutions has built our company's high-quality reputation on honesty and integrity. We pride ourselves on superior customer service and have installed our premier product in thousands of homes across Virginia. We are also the only window company in Richmond that guarantees service to our customers for years to come with our full 100% lifetime transferable warranty on parts and labor. 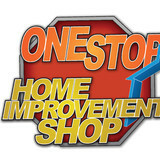 We are confident that the home improvement products we install in your home are the best in the industry. We would be happy to provide you with a list of references in your area and have probably even done work in your own neighborhood! If you would like to learn more about our replacement windows, siding, doors and gutters please contact Elite Window Solutions today. What types of siding services do Charlottesville exterior contractors provide? Wood siding needs more maintenance than less-expensive, low-maintenance vinyl siding, but with proper care it will outlast vinyl siding, which can fade and crack over time. Your Charlottesville, VA contractor might also suggest fiber cement siding, which is fire resistant and termite-proof and can come with a warranty of up to 50 years. Find siding and exterior contractors in Charlottesville, VA on Houzz. 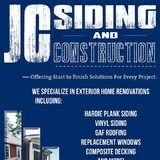 Narrow your search in the Professionals section to Charlottesville, VA siding and exterior contractors. Find out how long a Charlottesville, VA exterior remodeling contractor has been in business, view portfolios, read reviews and get contact information.